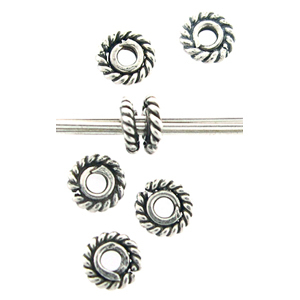 This a BALI crafted sterling silver pinwheel spacer. Size is approximately 1x4.5mm. Hole is 1.5mm.